We have a full moon in Cancer on 1/19/11. Here in Hawaii, it will occur at 10:21 am. Mother Moon should be very at home in the watery, receptive sign of Cancer. The water element has been working very powerfully on the earth through the whole month of January, and this will continue in these next weeks. Huge floods are present in Australia, snow is falling in record amounts on the US Mainland, and Hawaii has had big rain storms with flooding after a long-time drought. Water is the element that holds emotion, and she has a limitless ability to do so. She also knows how to find a way to get where she is going. This Full Moon would be a good time to be with our emotions and see what expression they may be looking for in order to find their flow and for you to feel nurtured. Stand under the full moon and allow the moonlight to stream down on you, enfolding you and your emotions in her loving embrace. Invite compassion and self-acceptance to flow from your heart for whatever may arise. 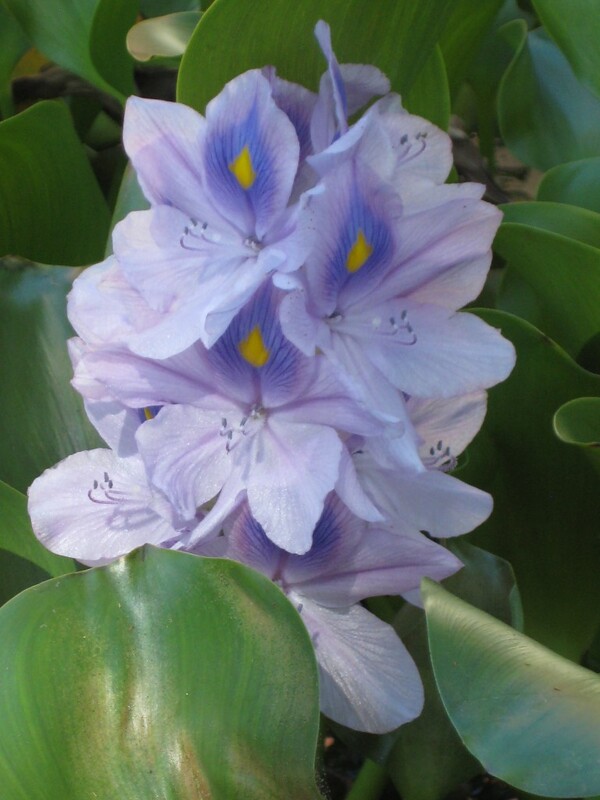 Blue Water Hyacinth comes to show us how to be at home in the element of water. She is completely at her ease on the water, drinking in her nutrients and rising up to receive the sun on her beautiful face. This flower reflects to us the clarity of vision and empowerment that comes after spending some time with watery emotion and allowing nurture to enter in.